Logic Pro project of "Autumn Wanderer", inspired by my recent trip to Japan. 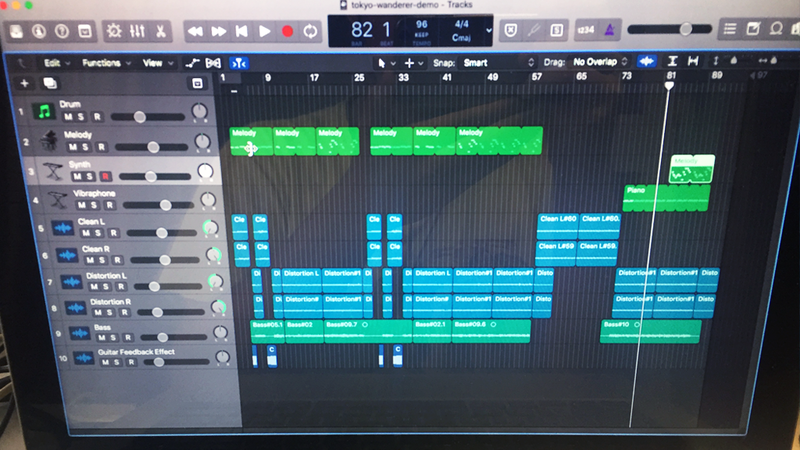 While I just released my debut EP about two months ago, I have been coming up with new song ideas and riffs. And I think it’s time to start work on new songs. This EP was like a self-exploration, exploring the form of music that I am most enjoying with. It’s like a pinpoint on a map or Universe and you know where to go next. I have recorded some song ideas. They are great in my opinion. I think it’s surely better than the EP! I can’t wait to share one of my new ideas here. It’s called “Autumn Wanderer”, inspired by the love-and-hate season in Hong Kong. The idea sparked when I walked down the streets in my home town at night.